Schaeffer's wife Edith (Seville) Schaeffer became a prolific author in her own right. He is most famous for his writings and his establishment of the L'Abri community in Switzerland. 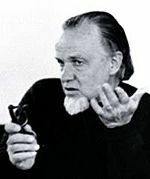 Schaeffer was also the father of — initially a collaborator with and after his death the object of criticism from — Frank Schaeffer an author film-maker and painter.